Wanna wipe your phone clean this CNET article shows how to do it step by step. Well, I’m Baack! I’ve been off line for a few months.. with the craziness of work and the fact that my life is just as crazier than usual.. that’s an update for another post! Are you buying a new iPhone X and want to wipe all the data from your old phone? Well I came across this CNET article that might be usable to you. With the iPhone X availibility now down to just a few days: Yes, Dad is itching to get an iPhone X, yet we all know how the best laid plans can be put on hold. Yes even if you are a DROID or a Window’s phone you can use the CNET article to clear your phone, so you can become one of the iPhone cult followers… like I am.. I excerpted the intructions below from the site above.. so I’m not taking any accolades for my kownledge or ability to do the instructions below.. I am also not responsible if anything goes wrong when you follow the excerpted instructions below! Apple devices that support iOS 5 or later include hardware encryption when you set a passcode. If you perform a wipe using the method below, the encryption key is also overwritten, which makes it very difficult for anyone who wants to recover the data. Step 1: Before starting the reset process, make sure to unpair devices like the Apple Watch ($429.00 at Apple). Then, turn off Find My iPhone ($849.00 at Apple). For iOS 10.2 or earlier, go to Settings > iCloud > Find My iPhone. Enter your Apple ID password if prompted. For iOS 10.3 or later, go to Settings > Your name > iCloud > Find My iPhone. Step 2: Turn off and sign out of other services including iMessage and the App Store. Go to Settings > Messages > toggle the iMessage option. For your Apple ID, go to Settings > iTunes & App Store > tap your Apple ID email address and then tap Sign Out. For added peace of mind you may also want to sign out individually from any other linked services and apps, such as Facebook or Twitter. Step 3: Sign out of iCloud completely. Head to Settings > iCloud and find Sign Out at the bottom of the page. For iOS 10.3 and later, Settings > Your name > Sign Out. For iOS 7 devices, choose Delete Account. Note: if you delete all your data manually without signing out of iCloud, it will also delete the content from iCloud as well — which is something you definitely don’t want. Step 4: Start the wipe process. Go to Settings > General > Reset > Erase All Content and Settings. Confirm the selection. Step 5: Remove the serial number of the device from your Apple account profile at appleid.apple.com. ver6 years. We went for an Indian wedding and to say we had the time of our lives would be an understament. To see India as a native is also an experience that was eye opening. There is no country that is more diverse and has sense of pride than India. This country is a super power and you see this everywhere! As many of my readers know, my writing is infused with a sense of humor. Over the next few postings, I’ll convey to you my views on what I saw during my vacation in Mumbai, Goa, Pune and back to Mumbai. Many of my opinions will invoke responses (hopefully). Much of what I saw and my thoughts should be just considered my views and treated with the humor and realism, I try to inject into my postings. When I go to India, I am a foreigner. I’m what they refer to as an IBCD (Indian Born confused Desi (slang term for a person of Indian Origin)). This year when I went to India with my beautiful 24 year old daughter, I went with an open mind and went without the normal prejudices I bring to the table when I visit India. My experience in India was amazing! The changes in the lifestyle of the people that call India home (regardless of whether they live there or are NRI’s like myself), has progressed tremendously. Be prepared to walk – When you get off the plane, the huge rebuilt terminals are just that.. huge and spacious.. your walk from your plane to immigration and customs will be at least 10 to 20 minutes. The vastness of the international airport in India is a sight to behold. The same holds true for the aiport in Goa. What you experience in these terminals is for another posting. Your Dollar goes further – If you are coming from United States, you are already at an advantage as you are getting a favorable return on currency. One dollar equals $67 Rupees. This number might make you feel rich, but the fact is that even with this favorable returns on currency exchange, it is quite expensive to get around (be it by taxi or other mode of transportation). Currency and De-Monitization: 2016 was the year of demonitization of the 500 and 1000 rupee note.. this made getting money via ATM, via currency exchange an adventure. Empty ATM machines and Limitations on how much you can exchange for currency for me was quite restrictive. At the airport, I could only exchange $40 for local currency! Change Anyone? Make sure you have plenty of cash on hand and change. Due to de-monitization and the basics how things run in India.. Don’t expect to get change easily.. So everytime you get change for currency you are using for payments, treasure it. You will need it! Rules of the Road: There are none.Forget the concept of normalacy and organized traffic patterns when it comes to automotive traffic and travel. The law of the land is “If u are in a car, Look Forward only, and lane indications are just for sake of having them“. Remember that when you cross the streets.. you need to always look “right-left-right” and if you are an NRI, for the first few days, you are always looking the wrong direction when crossing ANY street! Traffic is a mess, but rarely do you see any car that has dents or has been damaged due to an accident. The patience and skills that drivers in India show is amazing.. I have to applaud the patience of every single driver that is in a car, motorcycle, scooter, bus, taxi, rickshaw… and any other vehicle that is on the road! Technology in India is at par with what we see in the US. In certain thing we have been left in the dust. Can you get a dual Sim phone in the US for less than $80? Travel is divided into multiple categories: Pedestrian, Car, Public Transport, or Taxi (can be rickshaw, or taxi). Yes there is even Uber in most cities in India! Travel Light: You can literally go to India with a carry on and get everything you need within 24 hours! With Malls and markets readily available buying d Clothes is not a big deal.. be they Indian or western (for me that’s Jeans, shorts and short sleeves).. So my suggestion is pack light and leave lots of room for souvenirs and clothes that you MUST buy! Family is family – For me I met I attended my first real “Big Fat Indian Wedding”. The size of my family is huge and to meet them in one fell swoop is not only overwhelming, it’s touching. Considering I have 17 first cousins and each of them have a few kids, the family in attendance at the wedding was huge! Curb your apppetite – With India comes food. You get the best variety of food in the world. Be it vegetarian or non-vegetarian. If you are looking for beef you are out of luck! Cows are sacred in Hindu religion, so you will not get any beef (or at least I didn’t find any) in Mumbai). Friendly advice… if your stomach is weak, make sure you take enough meds to settle your stomach, otherwise you will be making constant trips to the bathroom.. Most of these will not be pleasant as you will be running there! I was lucky.. I only had only 24 hours of this unpleasantness, but the symptoms were around constantly! Security – India is very secure. With all the threats of terrorism, you will see plenty of armed military from the time you land to the time you leave. You will not feel insecure when it comes to this. At times this is overwhelming, but you will see that this is absolutely necessary with the world we live in. There is so much more that I can write about my trip. I’ll use the next few postings over the next few days to give you my spin on my trip. iPhone 4S – Do I need it? Yea! The iPhone is being released! Do I really need it? 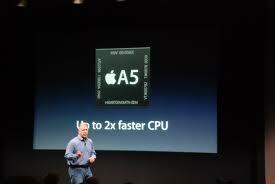 Yesterday Apple, Inc. unveiled after 16 months between iPhone releases the iPhone 4S. I was thinking what the “S” stands for.. could it be “sucker” or “scam”? I think it’s a bit of both. I think it stands for “Siri” for the must have feature of “voice activated commands”. ooh.. Since I can’t type straight.. now I show how bad my grammar is as I learn a whole set of voice activated commands! I think the only winner of this release of the next generation of the iPhone series is Sprint (#1) and Verizon (#2). Why? Now it’s a 3 way game between AT&T, Verizon and Sprint for the same customers.. Unlimited data issue anyone? Physically, there is no change in the way the iPhone 4S appears.. Price is standard $199 and $299 for 16 and 32 GB respectively. Battery life is better (hopefully), and it has a faster processor with a better camera. And I forgot the introduction of the main feature voice activated commands (SIRI).. I still don’t see myself getting this latest gadget.. I’m pretty happy with my 3GS which still works fine after a few years on the T network. I love my 3GS.. It basically does what I want it to do.. Make phone calls and play “Angry Birds”. In my household, I know that there will be at least one teenager that has pleaded/conned/convinced her Dad that she HAS to “pre-order” the 4GS on the VZ (“can you hear me now”) network. Of course last year.. the same child couldn’t live without her BBM on her precious Blackberry. So I’m taking this with a grain of salt. I personally use both the 3GS for personal and business, and the iPhone 4 is hands down the winner here. Yet I still ask.. Do I really need the iPhone 4GS? 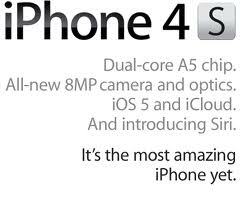 So I am going to ask you.. Are you buying the iPhone 4S to replace your iPhone 4 which I’m sure many of you are still under contract for?? Author Dads TaxiPosted on October 5, 2011 Categories iphone tips iphone, iPhone/iPadTags Apple, AT&T, iPhone, iPhone 4, iPhone reviews, postaday2011, postaweek2011, reviews, Sprint Nextel, technology, Verizon2 Comments on iPhone 4S – Do I need it?